New home or established home? You are here: Home / Tips / Property tips / New home or established home? When you were searching for your current home, were you definite about what style of home you wanted? Were you looking for a brand new or an established property? Or if you’re currently on the hunt for a new residence, what age of property do you have in mind? An older more established home or a brand new contemporary house? Is it better to buy brand-new? Or do houses with age and character make for a more sound investment? There is, of course, no one-size-fits-all answer, but there are distinct pros and cons to each purchase. When you buy a brand new home, you can generally walk straight in without a care and with no more money to spend. The appliances will be brand new, the paint fresh, the carpet unstained and the fixtures and fittings up to date. Modern conveniences are the norm, with many items as standard like built-in dishwashers, refrigerators, microwaves, and wine coolers. New homes can feature master suites as well as workout and media rooms. They may even come complete with wiring systems that are networked with home automated devices. Energy efficiency is a very important factor, particularly when we are all working toward a more eco-friendly and more economical environment. Many new homes are built with solar panels, walls, ceilings, and floors are insulated, dual pane windows retain more heat in winter and keep the home cooler in summer, and new appliances use less energy. And as building code regulations change all the time, consumer safety issues are continually addressed in new constructions. Maintenance will be minimal, and you will live relatively worry-free for several years (as long as you have done your research and that the home was built by a reputable company with builder’s insurance). If you’re seeking a life with fewer hassles, or don’t have money in reserve for emergency repairs and unexpected expenses, a new home may be the way to go. Luxuries such as swimming pools, ensuite bathrooms and theatre rooms are often included, which can be costly to add into an existing property. When buying new it comes down to doing your homework. And let’s face it, there’s nothing like owning something that’s brand new and has never been used. 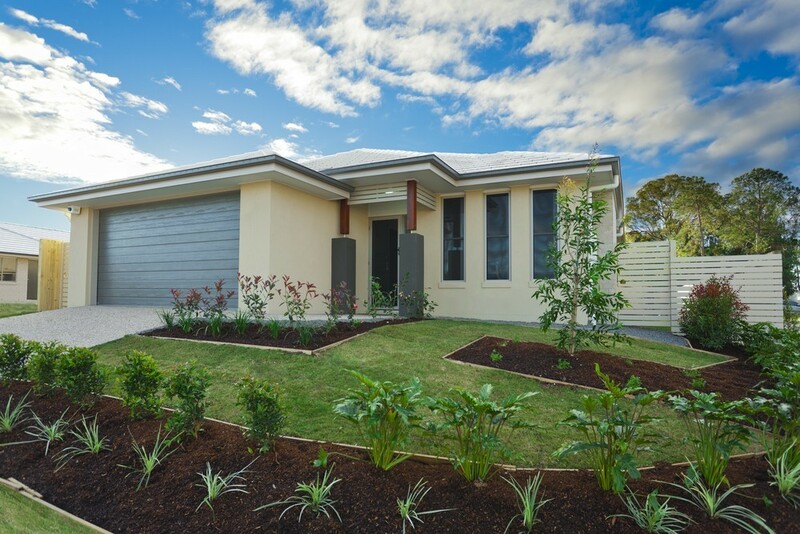 If the new home is not custom, it’s likely to cost much less per square metre than an older home in an urban area. Many millennials are flocking to suburban areas for precisely this reason. However, with this comes a ‘cookie-cutter architectural style that can be bland and ‘suburban’ and lacking in character and individuality. Gardens and landscaping are often immature and it can take some time for growth to take hold and from dirt to grow into lawns. If you prefer period features like cornicing, special architraves, open fireplaces and real hardwood floors, an older style home is definitely more your style. You may also be keen to renovate and update and add your own identity, which is much easier to do in an older property. Older homes have stood for decades and weathered many storms. Some were built by hand by genuine craftsman with meticulous attention to detail. They have often been built on a larger block, which means a bigger garden. Interesting architectural features are abundant in these homes with arches, hand-carved decorative appointments or stained-glass windows. However, you will often have to sacrifice more modern features like built-in robes, double garages and spacious open plan living. Classic and vintage homes generally cost more because of the location, meaning they are closer to conveniences such as schools, public transport, shopping, and urban amenities. With the exception of expensive estate homes, many older homes are smaller in size, even though family sizes were larger when they were built. Older homes are also quite often in established neighbourhoods where zoning changes are unlikely. You’ll also enjoy more established gardens – it’s not uncommon to see 50 to 100-year-old trees providing canopies and well-manicured hedges acting as borders and fences. Fruit trees rose bushes and European trees are much more prevalent in these areas too. Not only do older areas tend to be located closer to the city, often residents can walk to local cafes, shops and restaurants. If you do have a preference for an older, more established home, one with a history to it and a warm and cosy feel, it’s especially important to have a thorough home inspection conducted prior to purchase. Doing so won’t just help you negotiate down the price if works need to be done, it will also give you an idea of all the problems that need to be fixed. With older properties, things tend to go wrong periodically, and there’s always something to fix. Chimneys and stone foundations require tuckpointing, floors may slope and require restumping. If a home was built before sewer systems council may require that you update the facilities or tree roots may break up sewer pipes. Galvanized pipes are rust-prone and aged electrical networks may require expensive rewiring. Of course, buying a home isn’t just about shelter, and about creating a space for your family, it’s a financial investment. With an older home, you can see on paper just how much the property has appreciated over the years. That doesn’t guarantee future trends but it does give you something to go on. As for a new home? With no history to look back on, this purchase can be considered more of a gamble. Not only could the area increase or decrease in value, but the modern architectural styles can also quickly become dated and out of favour. Many established homes have stood the test of time structurally and aesthetically, and period homes have a large following from buyers, renters, and investors. At the end of the day, a property purchase is dependent on so many factors, the most important of which is choice. And choice is a very individual thing.